Knee pain is a very general term and can have many causes. One cause would be trauma. For many of us engaged in physical activities and sports that may be the cause. For the majority of people knee issues seem to creep up especially in their late 30s, 40s and 50s. Often it is associated with someone becoming more active again and picking up a sport, or fitness training to improve their body composition. All of the sudden the knee starts hurting. To understand better the complexity of the knee we need to understand more about its anatomy. It has meniscii functioning as increasing the joint surface and working as shock absorbers. They are C-shaped. The ligaments attached to the femur, tibia, & fibula lending it stability and guiding movements. There is a multitude of muscles working on the knee: flexing, extending, rotation etc. What does the hip and the foot have to do with my knee? In addition of myriad muscles going over the knee, the hip and the muscles pulling on the hip or the foot position play a major role in your knees function. Inactive gluteal muscles can lead to changes on how the quadriceps pulls on the patella and its tendon. This can have a significant impact on patella positioning, cartilage damage, etc. A similar situation happens when a foot is not properly supported by its arch and ankle. If your ankle collapses inwards you will have an increased risk of knee injuries due to “overuse” or rather “biomechanics”. Basically in addition to being sensitive to traumatic injuries (i.e. in soccer, football, tennis etc) the knee is the slave to hip mechanics and foot mechanics. How can I improve the situation if it is caused by weak hip stabilizers? There are plenty of things you can do for the hip ranging from functional movements like deadlifts, single leg deadlifts, bridges, single leg bridges to small movements like side to side walk w/ mini-bands, bridge walks, hip hikes. Trap bar deadlifts are great because they work hamstrings, glutes, adductors, etc. The single leg version really helps with stabilization and is the functional progression. I would definitely recommend you supplementing these exercises with movements like loaded bridges, clamshells, etc. Clamshells on the other hand are a great isolation exercise that can support the work that you are doing with the compound movements. 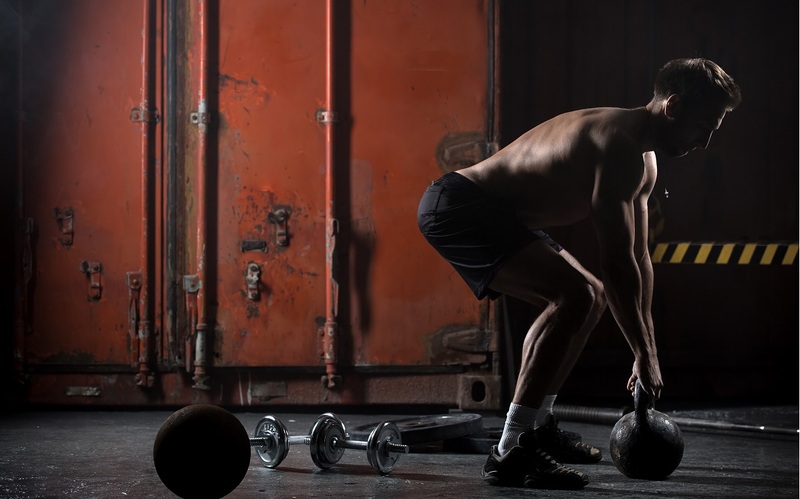 They are just one of many exercises that can be used for this purpose: quadruped donkey kicks, quadruped fire hydrants, cable kickbacks, back extensions, etc. can all be used to supplement the big movements. Short foot exercises like the one in the video are a great tool to work on foot position and strengthening up intrinsic foot muscles. In addition to the isolated exercise make sure to integrate the short foot into squats, deadlifts, etc. Knee pain at least due to postural issues and weakness don’t have to be necessarily accepted as part of life. 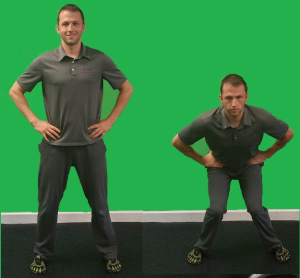 Working on fixing muscle activation & technique training can help clean up your form, improve joint positioning and potentially enable you to be a lifelong healthy athlete. The sooner someone starts to address these issues the better. Depending on your age and activity level, exercises and foam rolling might not be all that is needed. You might need the synergistic efforts from massage therapists, chiropractors, trainers and your own diligence to get back “on your feet”. Do not expect immediate and permanent results.You might have had the problems for years and progress might be really slow. If you can reduce pain and increase performance, I consider the effort well worth it. Exercises are great but training can only bring you so far. As mentioned above it might take a village to get you back on track. Massages, manual therapy, chiropractic, as well as physical therapists might be necessary to get you started. Schuenke et al. (2006). Atlas of Anatomy – General Anatomy and Musculoskeletal System. Thieme. You have forgotten one major reason, which can lead to hurting knees. It has been my own experience and it did hurt very badly that I was not able to walk during a business trip: Went to a hospital, they could not find anything wrong. They prescribed a medication, with potentially bad side effects. I took back home the X-rays to our Chiropractor. She said: You have gout. I had not expected that at age 50. When I had another attack she checked the uric acid level and it was high. She sent me to a general practitioner, who prescribed Allopurinol. By chance I found out after I turned Vegetarian that chicken is my problem, in that case it was chicken broth in a vegetable soup. Just to learn: Chiropractors are very good in diagnostics. Fur us that is always now the first place to ask. And that is not only because our daughter is a DC.